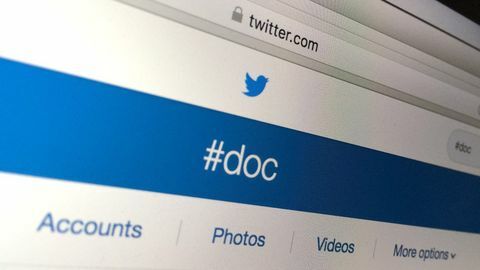 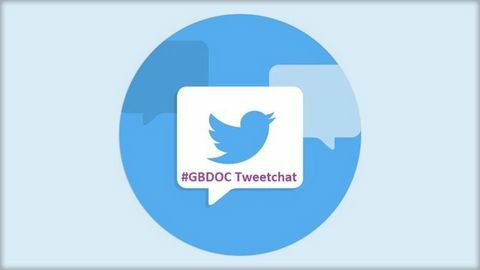 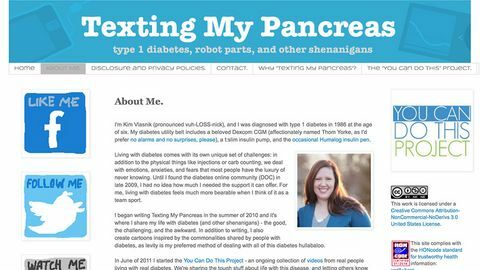 A brief guide to using Twitter to connect with other people with type 1 diabetes online. 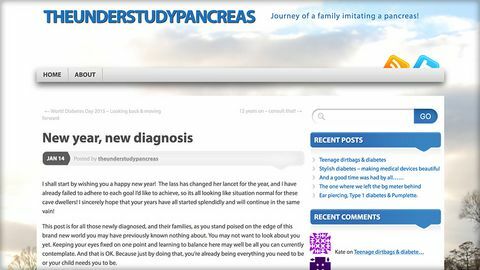 Anna Presswell recounts her experiences of a diagnosis of proliferative retinopathy and how she was able to reverse it. 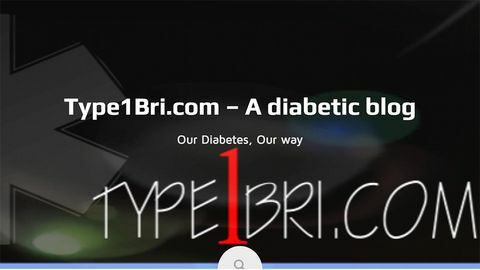 Mike compares the use of pump or multiple daily injections for diabetes management. 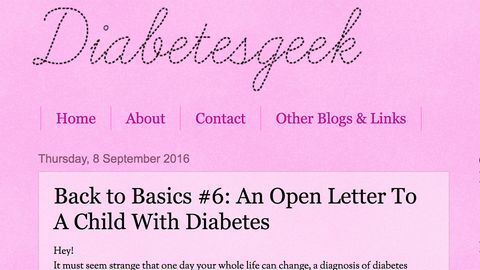 Personal blog about changes in type 1 diabetes care over the years. 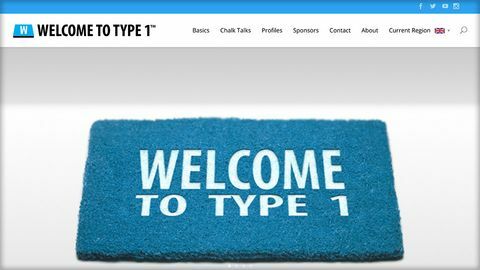 Links to London T1 Meetups Facebook Group. 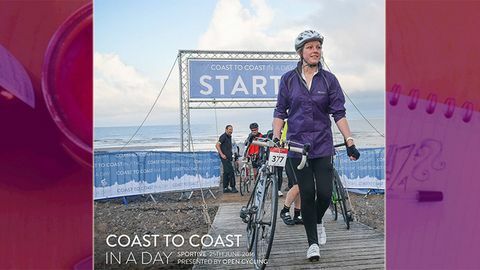 Jen describes her coast to coast cycle trip (part1)! 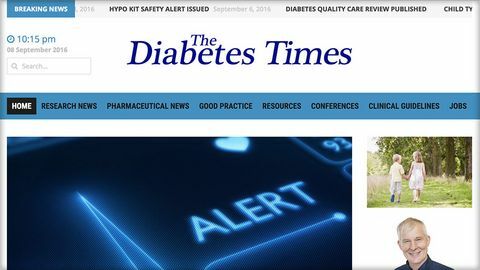 'Making sense of diabetes' - Diatribe is a US-based online magazine with news, updates and general information about diabetes. 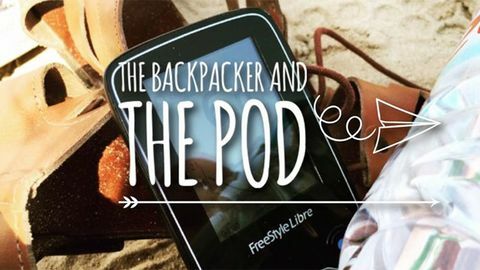 Blog from Lydia about her adventures backpacking around Europe - with hints and tips to survive! 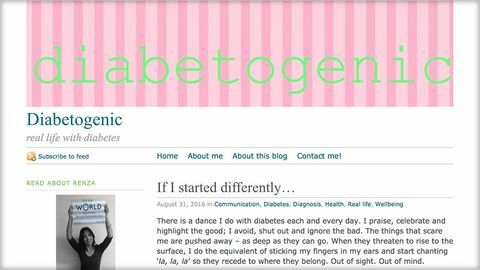 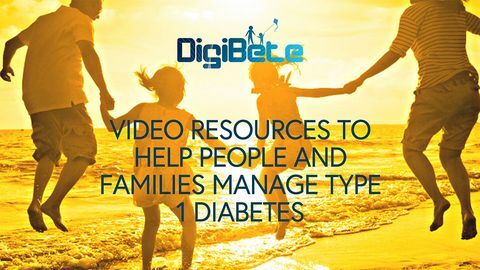 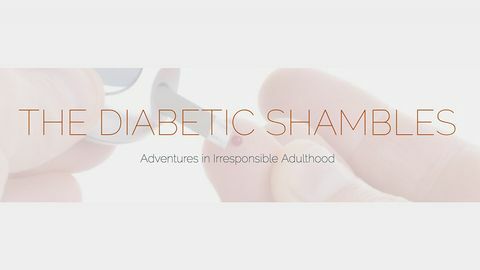 Videos about Type 1 diabetes aimed at those newly diagnosed with type 1 diabetes. 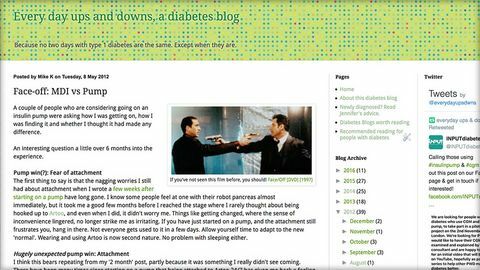 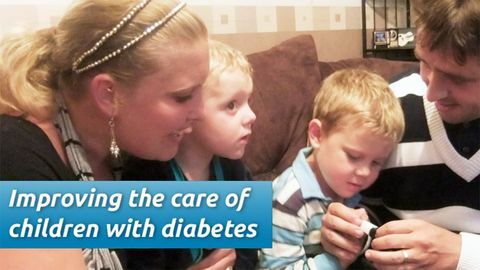 A collection of diabetes stories and research, collated by Leicester Diabetes Centre. 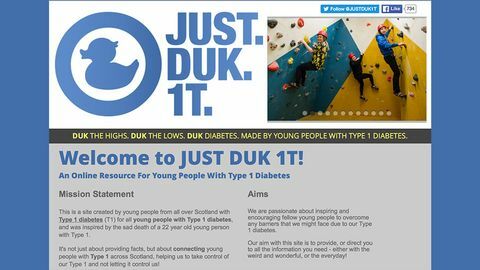 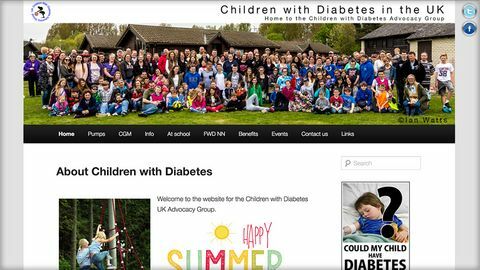 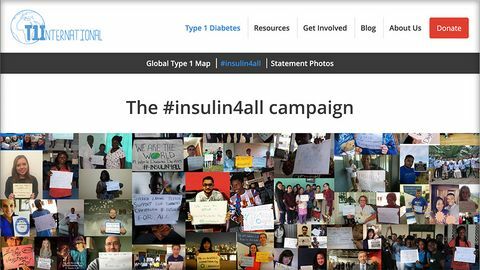 This is a website created by young people from all over Scotland with Type 1 diabetes for all young people with Type 1 diabetes.